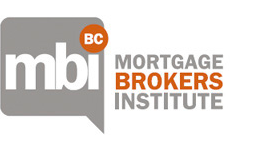 Mortgage Broker Practical Courses are now available on mbibc.ca! These courses are designed to help you sharpen your skills as a broker, gain an edge and better manage your business. Please ensure that you do not create multiple user accounts. If you have trouble logging into your existing user account for any reason, please call our office before proceeding. 604-559-5161. FICOM will not give you credit for courses you inadvertently or otherwise retake under a second user account. This can create delays/problems for you in the renewal of registration process.